their first gig in 2003. They released their first single in 2004. They released their first album in 2006. They played their first Seattle gig on May 28, 2008. It was their last Seattle gig. I was lucky to see it, because 12 days later, Dorian Cox, their lead guitarist and songwriter, had a stroke. He was 27. I'm 27. Twenty-seven-year-olds don't have strokes. But sometimes, sadly, they do. Cox was hospitalized for more than a month. When it became apparent that he might never be able to play guitar again, they agreed to break up the band. On Oct. 19, Cox announced on their Web site, "We have decided to call it a day." 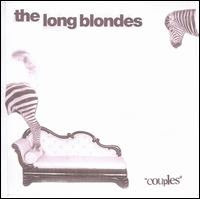 Couples, their second album, is fact sleeping with fiction: It's the photographs of couples the band stuck on a wall while recording; it's the romantic ghosts of Cox and guitarist-keyboardist Emma Chaplin, and those of drummer Screech Louder and bassist Reenie Hollis -- both real onetime couples -- and of those who came before, and of exaggeration, and of imagination. Couples is a capstone, a headstone and a stone crashing through the windows of fantasy. It's a fairytale punctured by reality, "Sleeping Beauty" with a wall of brambles threatening to stretch forever. Read my review of Couples here. Yeah, they're a band, but who are they really? Are they thieves? Geniuses? Thieving geniuses? Producer Ethan Kath and singer Alice Glass met in Toronto while performing community service. Why they were doing that --- reading to the blind --- varies with the publication. Billboard reported it as being a high school requirement. Spin implied it was court-ordered, saying that Glass had been busted for living in a squat and that Kath was clearing his record of an undisclosed offense. In any case, they bonded over noise rock and began collaborating. They initially had friends give fake interviews, resulting in a stream of misinformation. (BTW, one of their labels is Lies Records. Uncanny!) Kath does interviews now, but the facts can change. He has maintained that he's often misquoted. He was quoted, however, in a 2007 interview by the now-defunct blog sparks vs space as saying, "Sometimes I'll just agree with whatever an interviewer is saying because I'm exhausted and I want the interview to be over. They always set up interviews after I've been up all night making tracks or after flying overnight from a show. I'll say anything so that I can go back to sleep. I usually don't even remember giving them because I'm half asleep." Of his attempt to talk with the band (which, indeed, involved a sleepy Kath), Louis Pattison of Plan B magazine says, "Interviewing Crystal Castles feels oddly counterintuitive: the more you ask, the less you feel you know." Crystal Castles courted controversy left and right in 2008, accused by chiptune musicians of Creative Commons violations and copyright infringement, and accused by a visual artist of stealing artwork (of Madonna with a shiner) for T-shirts and their "Alice Practice" single. Artist Trevor Brown eventually agreed to a settlement, but the chiptune dispute festers. Though Kath has said Crystal Castles weren't involved in the chiptune community, he was quoted in Spin's piece (from last September) as saying "there should be no limitations on art." That sense of rebellious creation, naturally, extends to their self-titled debut album. The anarchic, provocative methods --- shrieks, circuit bending, legally questionable samples --- have been impressively honed into songs that prick and throb and challenge and excite. Transgressive art at its best. 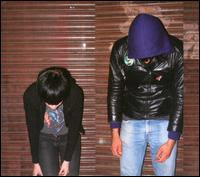 Read my review of Crystal Castles here. It's not easy to evolve. Some bands try but fail. Some bands try, and they succeed, only to lose fans who preferred their earlier sound. The best bands try -- and they succeed -- often, growing with each couple of albums: broadening their technical abilities; working toward synergy; magnetizing styles and pulling them close; planting their flag on more and more musical territory; making more sounds into THEIR sound. 1) Extracting Jim James from the reverb chamber, which had been a hallmark of their sound their entire career. He used the opportunity to nurture his burgeoning soul-man side. 3) Bringing guitarist Carl Broemel and keyboardist Bo Koster into the vocal fold. Nothing radical, like singing lead, but their additions complement James and point to greater trust and cohesion in the band. 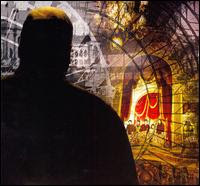 4) Pursuing a highly varied album. The first six songs alone are distinct enough to have come from six different bands. The greater the variation on an album, the harder it is to make everything stick. But they did it. What's next? I can't wait. Read my review of Evil Urges here.